We believe that long expression partnership is often a result of top of the range, value added service, prosperous encounter and personal contact for Plastic Square Lunch Box,Plastic Double-layer Lunch Box,Square Double-layer Lunch Box. you can return inside 7days with their original states. 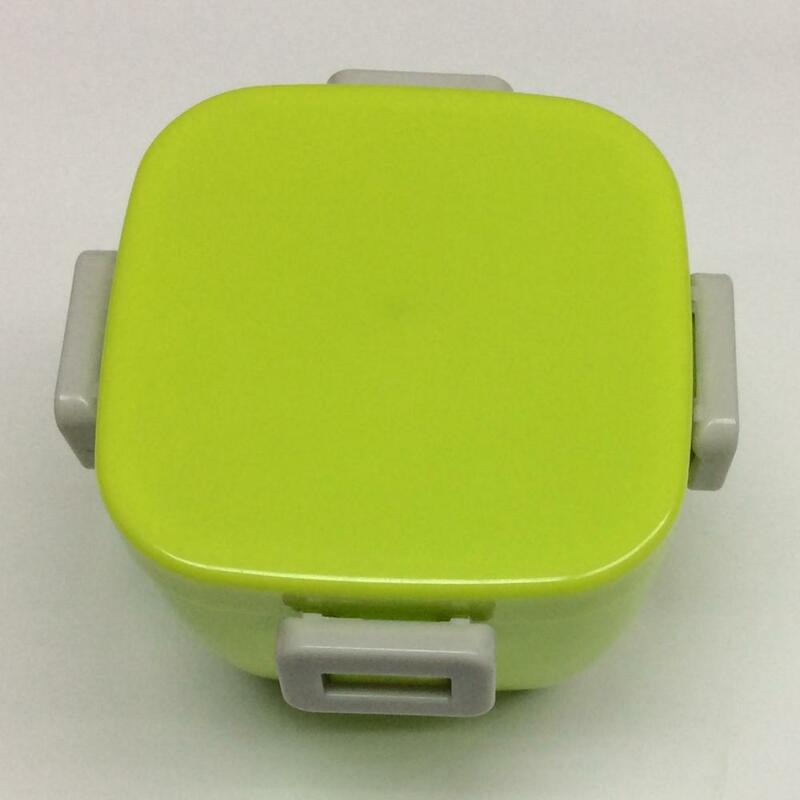 Plastic square double-layer lunch box is a lunch box made from food grade PP material. This lunch box is sealed and will not leak. Plastic square lunch box can be heated in a microwave oven. The product advantages of plastic double-layer lunch box are four-side locking, more firm, tightly locking the lid to prevent the dumping of juice soup, user-friendly design, simple shape, does not affect the appearance. The square double-layer lunch box is characterized by the use of healthy materials, food safety is more assured, can also be used for dry goods storage, multi-functional storage, convenient and easy to use. 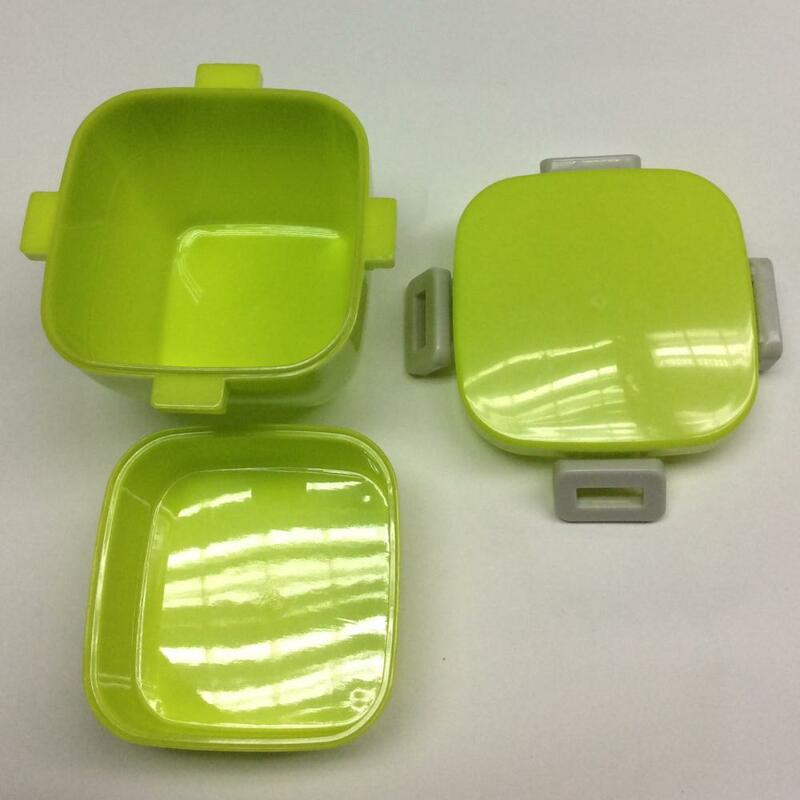 The color of the plastic square double-layer lunch box is green and the material used is PP. Its size is 125x125x100mm, and the product is molded by injection molding. Due to the material, plastic square double-layer lunch box also has some precautions, such as far away from the fire source, should not be exposed to the sun, is strictly prohibited heavy drop and so on, the packing method is a single OPP bag into the box. "Our goal will be to satisfy our clients by offering golden provider, great cost and top quality for Plastic square double-layer lunch box. The product will supply to all over the world, such as: Portugal,United Arab Emirates,Croatia (local name: Hrvatska). We'll continue to devote ourselves to market & product development and build a well-knit service to our customer to create a more prosperous future. Remember to contact us today to find out how we can work together.